After the hard drive on my iMac died last year, I realized that the best place to park information is in a blog and that's why I'm putting this recipe here. It has taken me at least a year to develop the final version of this recipe and if you are reading this you will notice that I have spared you the different stages. It all started with Craig Ponsford recipe in Maggie Glezer's book Artisan Baking. Then I tried Leite's Culinaria recipe that I found on the Web. Also the one from The Fresh Loaf, The Perfect Loaf, The Kitchn, three King Arthur Flour ciabatta recipes, and a few others. 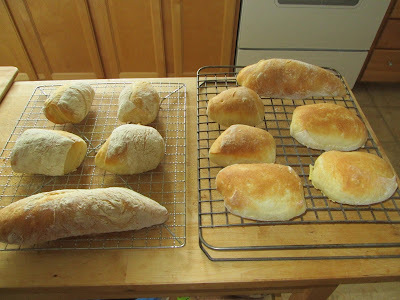 The last one I tried was the one for Ciabatta Rolls on the King Arthur Flour website. I was intrigued by the lesser quantity of water, as compared to all the other recipes. How can you make ciabatta with only 70% hydration, when all the other recipes called for at least 80%, and up to 84%, I asked myself. I made the recipe exactly as it appeared, including the dimpling and it was not what I was after. Maybe you like your ciabatta flat, but while living in Montreal over the past year I got hooked on the ciabatta rolls from my neighbourhood Italian bakery. They were ugly, they were bumpy, but they were not flat. They had big holes and little holes and a texture not so much creamy as fluffy, almost cloud-like... add a thin crisp crust and a deep flavour and you've got perfection. They made the best ham and cheese sandwiches. They were what I was after. I mention the thin crust because you might ask yourself why I don't just make baguette if I want French bread. The reason is that for sandwiches, I have never been able to make a baguette (or a French roll) with a crust that didn't tear the inside of my mouth. And now I don't even have to try. For my final trials, I decided to keep my variables to a minimum, and after adhering strictly to the King Arthur recipe ingredients as my base, and varying the methods, I came to the following infallible recipe, and here it is. This is the final version as developed by myself based on the KAF recipe and a combination of methods from other recipes and past experience. This makes a satisfying baguette substitute because the thin crust is suitable for sandwiches, whereas I was never able to make a baguette that worked as well for that. The long fermentation of the starter ensures a good flavour. Apart from the crust, the main difference is the dough is too wet to shape but dry enough to handle, which is not usually true of ciabatta recipes with higher hydration rates. ATTACH the bowl to the mixer, attach the paddle and mix the liquid ingredients together. ADD the dry ingredients while running at slow speed, then increase speed to medium (2.5 I think). MIX for seven minutes. The dough will wrap itself around the paddle and stay there. I usually stop the mixer twice to scrape it down. 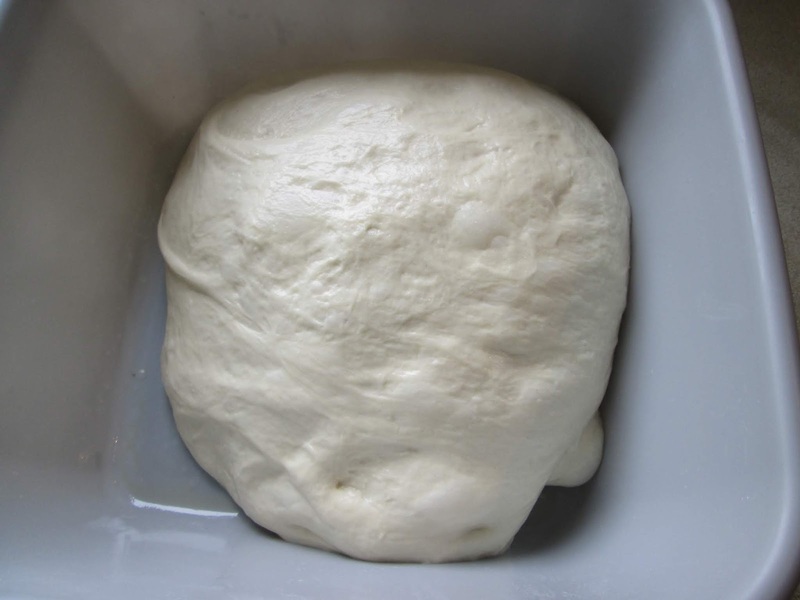 OIL a wide container (I use a medium size plastic tub) and pour the dough into it. Cover well with plastic. GIVE the dough a second fold. AFTER 30 minutes, turn oven on at 425 degrees, place pizza stone on middle shelf and steam tray on lower shelf. 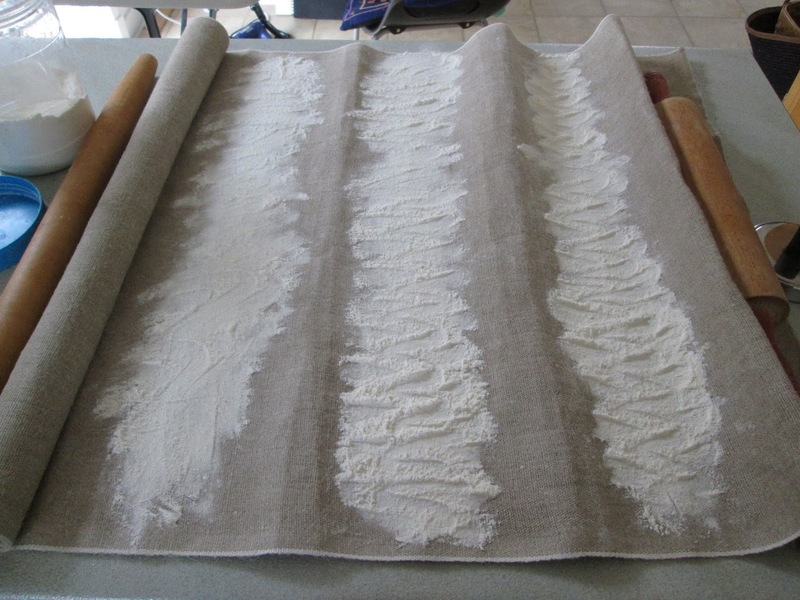 PREPARE a couche with flour on the strips where the rolls will rest. IF dough is ready - nice and puffy with big bubbles, turn it onto a very well floured surface and flour the top (which used to be the bottom). Without deflating it too much, form it into a rough square. PREPARE a cup of water and a spray bottle. 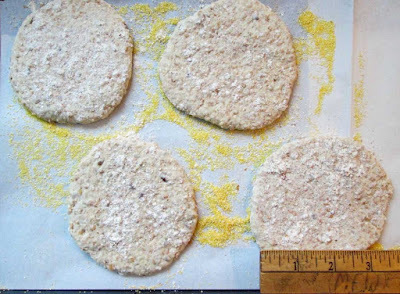 PREPARE two peels with parchment and cornmeal. AFTER the 30 minutes if the loaves or rolls are nice and puffy, transfer some to one of the peels - I use a hamburger lifter for this. It doesn't matter if you turn them upside-down - if you do they will have flour and wrinkles on top and if you don't they will have a nice smooth top. But do not POKE them even though several recipes say so! TRANSFER rolls and parchment to stone, pour a cup of water in the steam tray. MOVE the front ones to the back and vice versa and finish baking for about 10 minutes - until the right colour. Check internal temperature of the dough to be sure (minimum 200 degrees F). BAKE the rest of the rolls or loaves similarly. The crust will soften somewhat as it cools. FREEZE as soon as cool enough. This is actually the best thing to do with this bread because the crust will actually improve after reheating. REHEAT by placing the bread - frozen or not -in a cold oven and turning it to 400. Set timer for 8 to 10 minutes and you will find the crust has become even crisper but not hard. Let cool. Ideal for sandwiches. 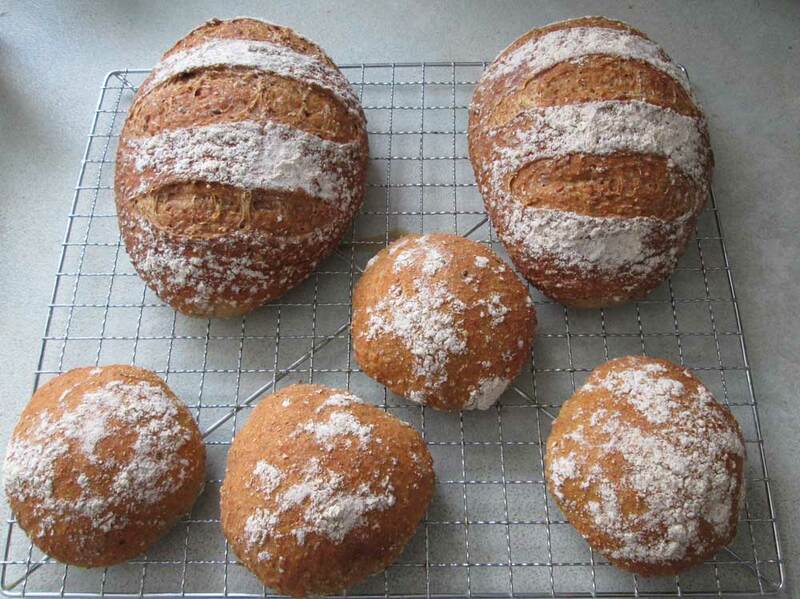 That is also why the bread may seem a bit pale after baking - reheating will deepen the colour. TOASTING. I am relieved that with this recipe - is it the oil or the milk powder or both? - toasting is less problematic. Other ciabattas I tried - being all flour and water have tended to emerge from the toaster hard as a stone. Left: rolls baked upturned; Right, rolls baked without turning. Note different sizes and shapes! 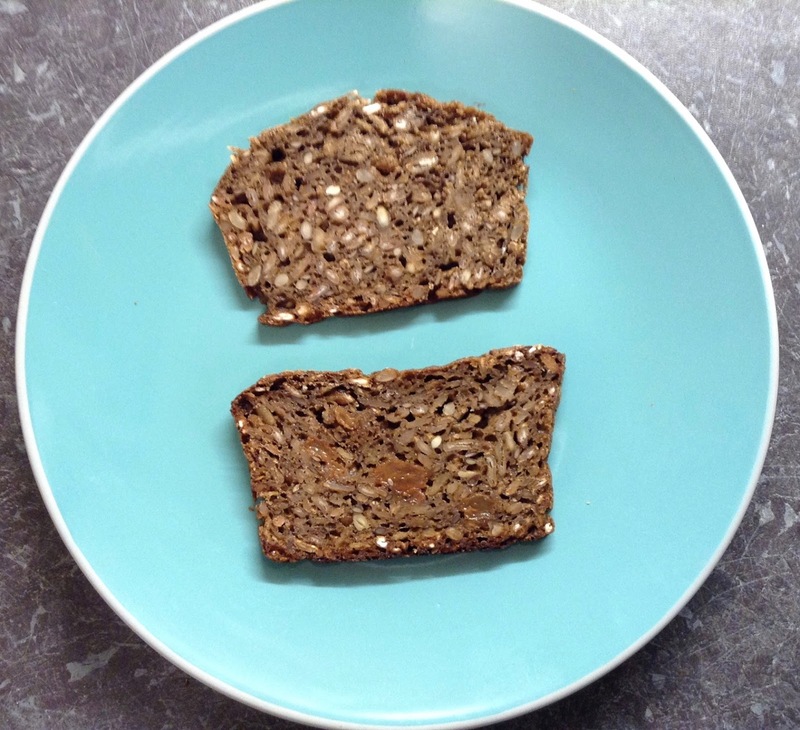 Among the many “exotic” foods that you can’t find in my present coin de pays is the kind of dense, dark and strong German or Danish rye or pumpernickel bread that I really like as a vehicle for smoked salmon and many other delicacies. So I went online, hunting for recipes. Most of them required a sourdough starter, so I mixed one up and crossed my fingers that the gods of wild yeast would feel magnanimous. So far I have tried two recipes; one of them requires a sourdough starter, and the other uses yeast, beer and buttermilk instead. Regarding the latter, even if the blog owner's attitude had been less arrogant when I asked her a question, I found it so much more expensive to use beer and buttermilk instead of sourdough, that even though the bread was acceptable (though too bitter for my taste), I have decided I won't make it again. The recipe that I describe in this post uses sourdough; it's from Nordicfoodliving.com. Their article includes a short video. I started out by following their own starter recipe (there's a link in their Ingredients List). While this was brewing, I went looking for a local supplier for all the different grains and I found a local stone mill that works strictly with organic grains. Yay! I put the soaker ingredients together on Thursday, and baked the bread yesterday. Then I let it mature overnight. In other words, this is a three-day recipe, so plan ahead. 1. The first problem I had with this recipe is that the ingredients are in cup and deciliter measures, that is to say, by volume instead of by weight. I noticed other readers complained about this, so I hope that someday the blog author will add the weights. For now, I did the conversion myself, but as everyone knows, when it comes to flours especially, the method of filling the cup can make a huge difference in the final weight. I used the one where you spoon the flour into the cup, which results in a smaller amount, but next time maybe I will use the other technique - the one where you use your measuring cup to dip into the flour directly. For the purposes of this article, I did an experiment with whole wheat flour. First I scooped the flour into my measuring cup with a spoon, then I evened out the top and weighed the flour. Then I took the same measuring cup and dipped it into the bag of flour, evening out the top as before. This latter method is called "dip and sweep". The difference was a whopping 19.6%! 127 grams (4.4 ounces) vs 152 grams (5.3 ounces). For a complete description of this phenomenon, see this Serious Eats article. Because flours also vary in fluffiness, the difference can attain 50%, according to the article. They recommend "dip and sweep", by the way. I'm not sure I would agree when it comes to cakes and pastries, but it sounds reasonable for bread, and I'm thinking that this may account for my dough being runnier than in the video, and also for the finished loaf having more holes than the example. I do believe this bread should be really dense. I will certainly try "dip and sweep" next time. 2. The second problem I had was that I am used to figuring out if my bread is cooked through by taking the internal temperature with my small instant thermometer. I asked the recipe's author but he said he just knows when his bread is ready. Which is fine when it's your recipe and you've done it countless times, but for a beginner? No, so I went searching for other recipes and yes, most of them do mention the temperature they look for. 205 F (96 C) seemed to be the average so that's what I used for this batch. At that temperature, my loaves were cooked but still sticky. 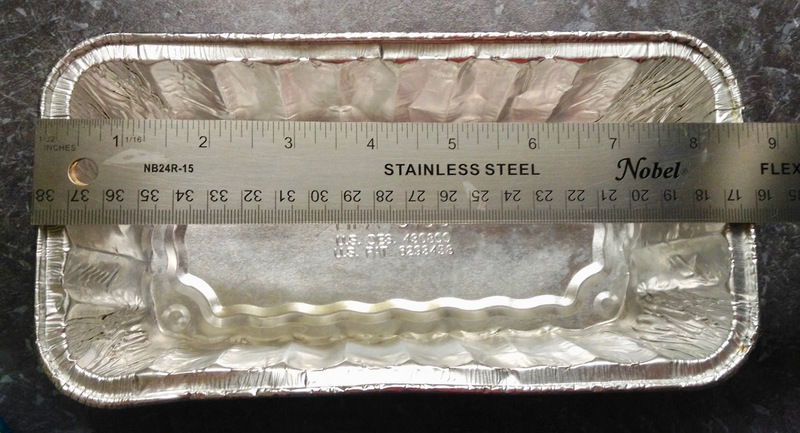 See what happens to the knife after just one cut, a whole day after baking. And you absolutely have to wash it off, or the next slice will be a mess! So, definitely, the next time I make this bread I will either cut down on the liquid or increase the amount of flour by measuring it differently. There is another method that I've seen recommended for allowing the steam to escape: just before baking, you poke holes all over the dough with a tool like a large bamboo skewer. I'll try that too, next time. 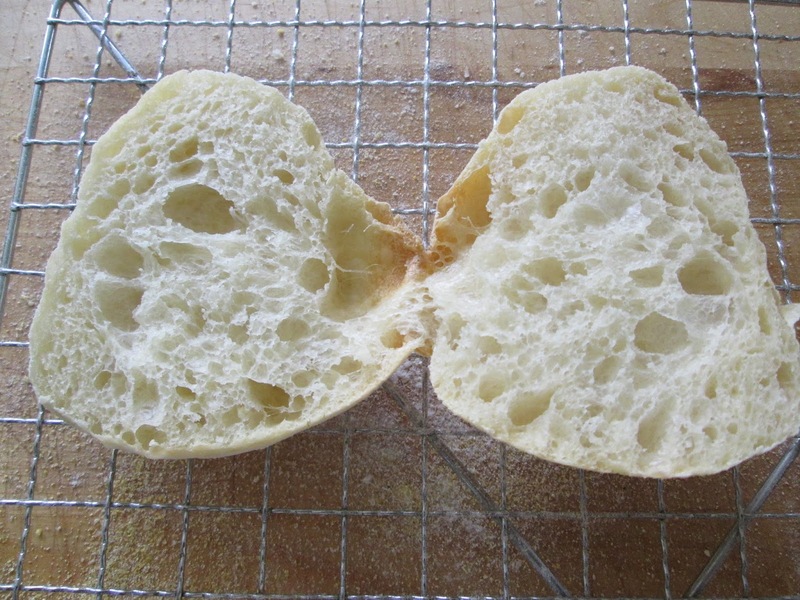 Another way I've found to get those dense loaves to dry out better in the centre, is to make smaller loaves. So next time, I will make three loaves with the same amount of dough. And I will pull each one out of the oven at different temperatures: 205 F, 210 F, and 215 F 96, 99 and 101 C). 3. The third problem I had is a very minor one: my bread is too dark -- I find it unnaturally dark. It's darker than the sample in the video. The recipe does say that the gravy browning (caramel colouring) is optional, and I don't think the author used it in the one he photographed. I won't use it next time. Cocoa is often used for the same purpose, and I may just try that in a future batch. Or not. Those breads are very dark by tradition more than necessity, I think. To me, the darkness covers the individual grains, and I like to see them in my grain breads. 4. The original recipe calls for baking for 1 hour, but to attain the temperature I wanted I had to bake them for an extra half hour (an hour and a half total). My oven is reliable, I have a thermometer inside of it, and it's a normal oven without convection. After an hour, the internal temperature was a mere 185 degrees F (85 C) and a toothpick inserted came out covered with raw dough. 5. Finally, the order in which the ingredients are put together needs to be changed. 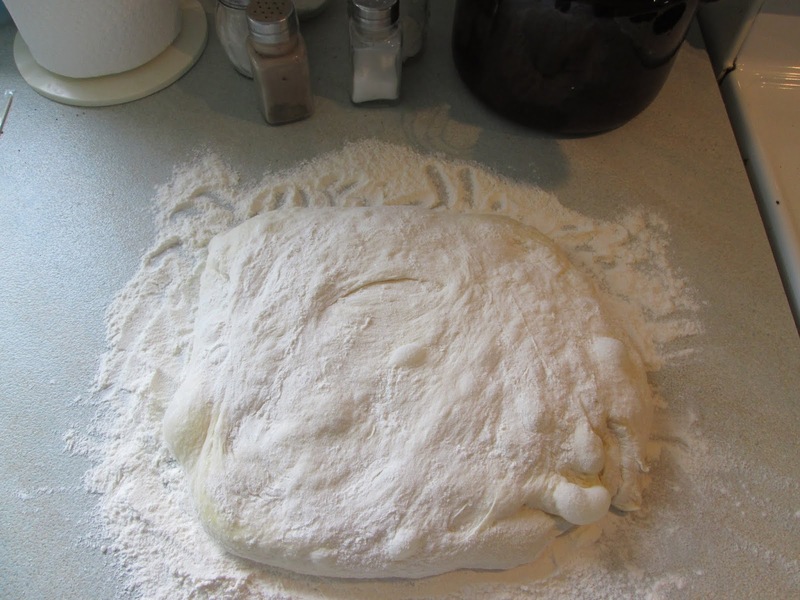 It's very hard to incorporate salt into a thick dough. It should be added to the flours. Similarly, why add liquids like malt syrup and gravy browning to the thick dough instead of the soaker, the day before? Take one cup (250 grams) of sourdough starter from jar in fridge, and add ½ cup of water, ¼ cup of rye flour and ¼ cup of white flour to it. This will add up to exactly the quantity required in the recipe. Mix well and leave out overnight. 2. Mix well, cover and leave to soak for a minimum of 8 hours. This can be done in the evening, so that you can continue the morning after. 1. In a separate bowl, combine the all-purpose flour, the rye flour, (the cocoa, if using), and the salt together. Stir well with a wisk. 2. Stir the soaker well, and stir in the dry ingredients. Mix until totally combined. 4. Butter bread pans and divide the dough equally between them. Do not fill the pans too much; you don't want the loaves to have a dome once they are baked (as mine did). 5. Let the loaves rise in their pans for 1 to 2 hours. Don't allow them to rise too much. 6. Bake at 350 F (180 C) for half an hour, then turn the pans around and bake another half hour. Then measure the temperature in the center of the loaves. It should be at least 205 degrees F (96 C). Leave another 15 minutes and take temperature again. Turn the loaves around again if they're not browning evenly around the edges. Keep checking the temperature. My total baking time was an hour and a half. 7. 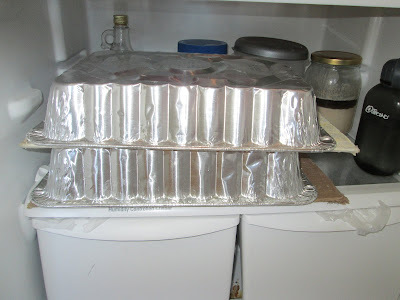 When done, remove the breads from the pans and let them cool to lukewarm, on a rack. At that point it's a good idea to wrap them in plastic if you want to keep the crust soft. I'll leave it up to you to find the complete nutrition information for all that good stuff. What I'm mostly interested in are the calories because I track all my food as a way of keeping my weight stable. It's easy to calculate the calories in any recipe by looking up the number of calories in each ingredient, adding those up, and dividing by the total weight of the finished product. The total weight of the finished loaves was 68 ounces (2,060 grams), and the total number of calories was 3,800, so 3,800 by 68 = 56 calories per ounce, or 3,800 by 2,060 = 1.8 calories per gram. This is interesting, because plain white bread (like baguette) weighs in at 70 calories per ounce, and the whole grain bread that I make at home, 75 calories per ounce. This morning, a thin slice of this bread -- that kind of bread is always sliced thin -- weighed 1.5 ounces (42.5 grams), i.e., 84 calories. The taste is fine, and I expect it to improve over the next few days, as is usual with those complex breads. The texture of this particular bread is lighter, less dense than I like, however, and this could affect its ability to keep without going bad -- even refrigerated. 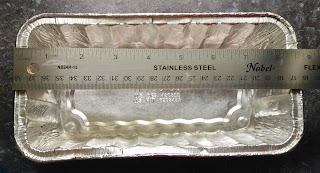 The loose texture could be due to the excess liquid described above, and this can only be determined with further testing. Before I do that, I will try other recipes. Stay tuned! 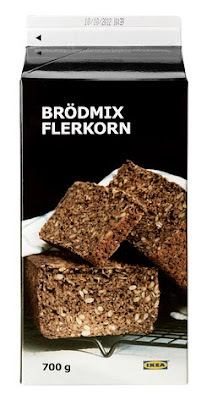 And, to answer the question: Yes, you can make real Danish Rye Bread here! And as for the flavour, oh my, it's still the best bread of its type I have ever made! Whenever I make a batch of multigrain bread, I set aside a small amount of dough for hamburger buns. Once the dough has fermented in the fridge for about two days, I weigh it and take out whatever I want to turn into buns. I divide the rest in two. I make the 2-oz portions into balls, then cover and rest 30 minutes. Then I flatten them with a rolling pin, to about 4 inches in diameter. Because of the extra deflating, they are not ready to bake until the main loaves have been taken out, so that works out quite well. They don't rise a lot before baking, but that's okay because they literally puff up in the oven, leaving a nice air pocket inside for the components of your burger, be it carnivore or not. This also means that your buns are not so full of calories. At 75 calories per ounce, mine average under 150 calories each. You could also use them as mini pitas while they're still hot. 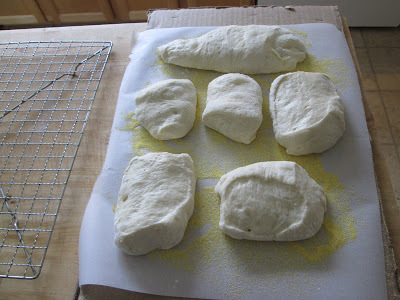 I use the same hot stone and steam method as my freestanding loaves to bake them, at around 450 degrees F.
To keep them soft, throw them in a plastic bag as soon as they're cool. This works with any bread dough that I have ever used. Google has finally made it possible to re-publish this blog, though under a slightly different name. If you are receiving this, would you mind putting a few words in the Comments section to that effect? Thank you, and hoping to see you all again very soon with some new, exciting content. 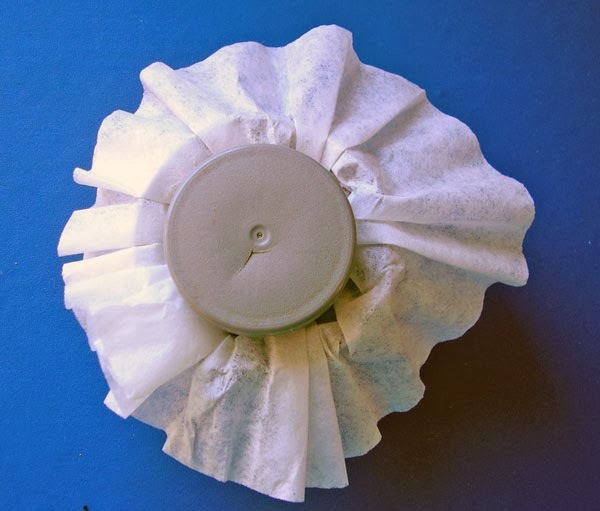 How To Get A Good Cup Of Coffee From Your Keurig "My-K-Cup"
Today I landed by mistake on an amazon.ca page for something called "Disposable Filters for Use in Keurig Brewers" and my first thought was "Somebody has stolen my idea!" I chose the Cuisinart Keurig system single brewer because it came with its separate "MyK-Cup" assembly to allow one to avoid paying some outrageous price for a cup of coffee made at home. At the time I was very happy with the quality of the coffees I was using, at a reasonable 10 cents per cup. "… hated the coffee sludge..."
"No need to bang filter basket to get grounds out…"
"…now I just pick up the paper filter and throw it all in the compost bin…"
"...not getting sludge in my mouth…"
"I hate how it leaves a grainy soot at the bottom of the cup..."
Not only that, the oils in the coffee soon blocked the tiny openings of the small permanent basket, and the quality of my cuppa declined by the day. Before long, I was on the phone to the Keurig customer service, who advised me that the so-called "permanent" filter had to be replaced every three months! It was by taking apart one of the samples that had been supplied with the machine that I realized that what was missing was thin layer of paper. 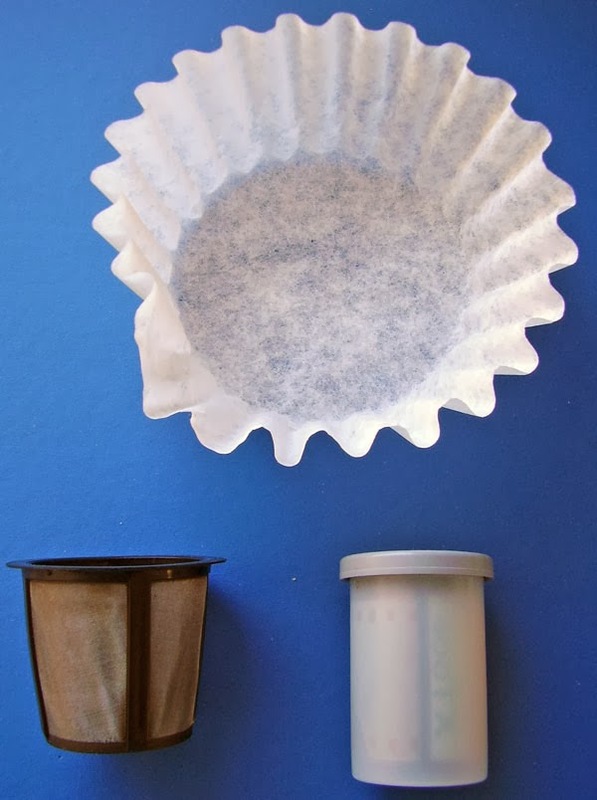 So, if you'd like to improve your own My K-Cup brew, and make your filter last forever, you can now buy tiny paper filters, but they will cost you anywhere from 3 to 5 cents each. Or you can follow these instructions, and make your own for a little over a penny. And if you drink as much coffee as I do (about 6 cups a day but they're only 6 ounces), you will save up to $87 a year. (In my case, that pays for 870 cups of coffee! 1. 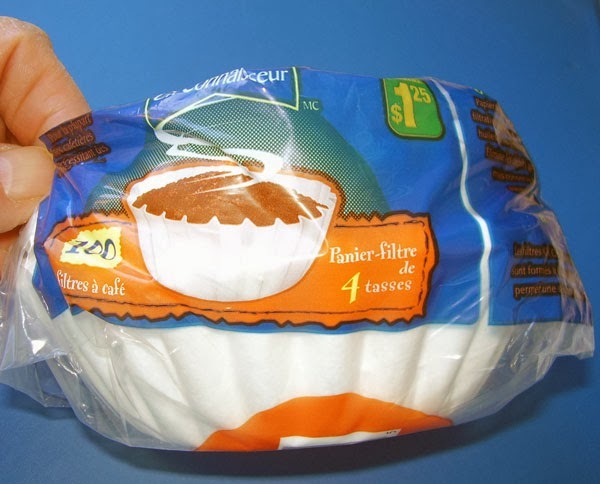 Buy the small 4-cup paper filters from the dollar store. Cost in Canada: $1.25 for 100, a little over a penny each. 3. Center the paper over the basket, then push with the film can to fit it inside the basket. The film can is the exact size to get a perfect fit with a perfectly flat bottom. 4. 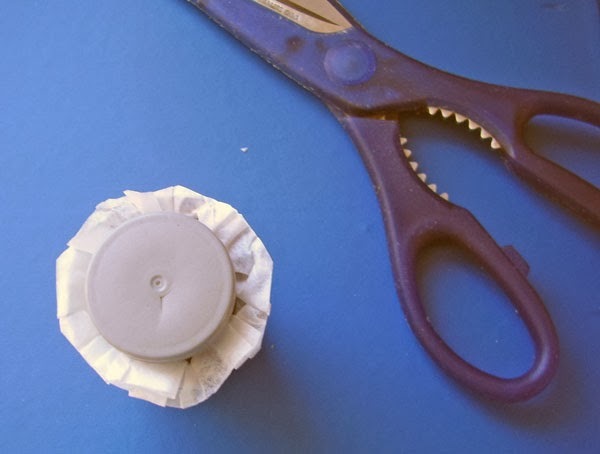 Cut all around the basket with the scissors, hugging the basket loosely as you do so. 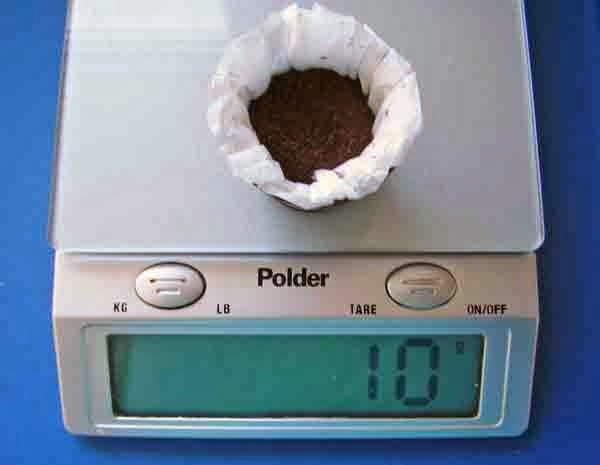 Alternatively, you can weigh your coffee first, then place the basket inside the K-Cup base, then trim. 5. I weigh my coffee -- I like 10 grams for 6 ounces of water -- that way I always get the strength I prefer. 6. Drop the basket into the base, screw the lid on and brew your coffee. 7. I also measure my cream: 1 TB is exactly right for me! Hopefully, with these instructions you will get a better cup of coffee and a fatter wallet! I've been making bread for 40 years, but it wasn't until this month that I dared to venture into sourdough territory. Wow! Am I ever glad I did. A ficelle is a skinny baguette. These are about 2 inches across. It's my favourite format for sandwiches. Ham and swiss cheese with sweet butter and dijon mustard. Or prosciutto or serrano ham with or without swiss cheese, and sweet butter, hold the mustard. Salami, when I can find a good one. Then I made a couple of loaves of "Norwich Sourdough Bread" using this recipe from the Wild Yeast Blog. I halved the recipe, but otherwise I followed it to the letter and - what a surprise! - this was the best bread I have ever made! I should say "the best non-multigrain bread", because as a daily bread I am extremely fond of the multigrain sandwich loaves that I have been making for several years now. Once a month, I bake four of them and freeze them. Each loaf lasts me one week. Cross-section of ficelle I made today. 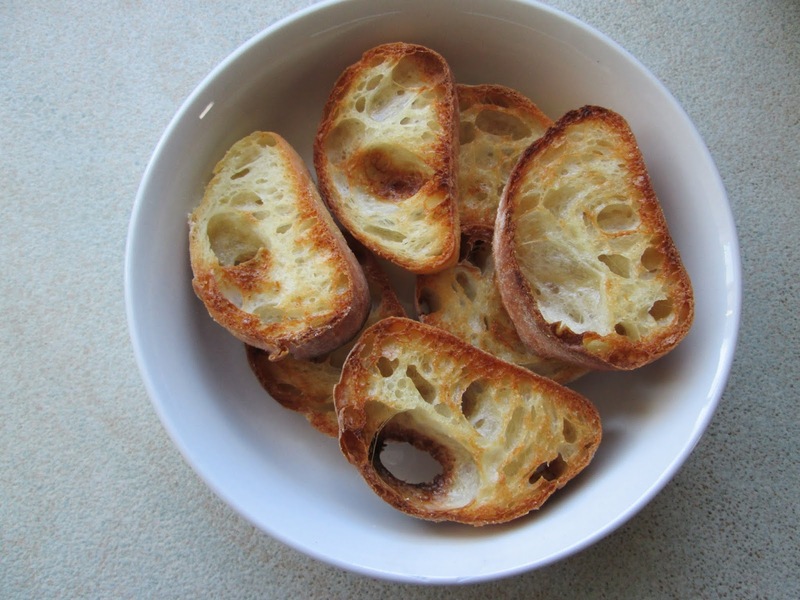 the crust is crunchy but not too thick, and the aroma… ah the aroma! And the flavour… just sour enough… divine! Another advantage of this recipe is that if you have some sourdough starter ready to use, you can start the bread in the morning and eat it for lunch - about six hours later. I have found very few breads able to develop that kind of flavour and texture without a cold fermentation, but this one did. 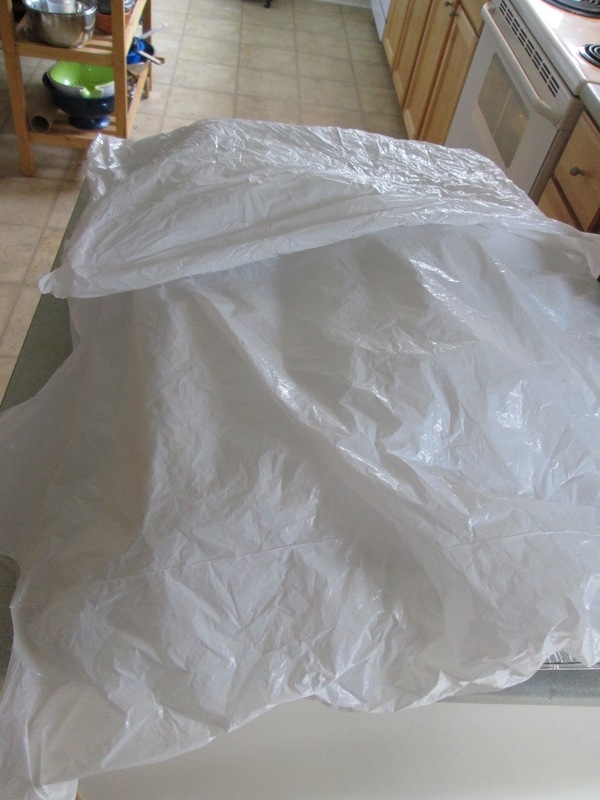 Still, sometimes I want to start my bread in the evening, and so yesterday I did all the steps up to and including the two folds, then I slipped the bowl into a plastic bag and put it in the fridge. This morning, the dough had risen somewhat, and in fact it looked just like it did last week at the same stage. I left it on the kitchen counter for an hour, and then I proceeded with the recipe. Success! the resulting flavour and texture were the same as last week. So if you've been putting off trying sourdough, don't wait 40 years! Try these recipes today. P.S. If you have been subscribing to this blog, this may be the last post you ever receive! Google has been reminding me that I have to renew the domain on November 26, but the instructions they are sending me for doing so are not working. I am hoping that they will rectify the situation, but if not, I want to thank you for your interest. I have registered a new domain: www.cookscornerblog.com (very similar, but without all the hyphens) and may start posting at that URL if necessary. When I lived on my ranchito in Mexico, if I had to go to town (Dolores Hidalgo) I would try to get there early enough to find the ricotta man on his corner, selling his fresh ricotta of the day. It was so delicious, and so cheap! Considering that traditional Italian ricotta (which means "twice cooked") is made from the whey leftover from making other cheeses I can't believe how expensive it is at the supermarket. And the stuff they sell in this village is quite disgusting. This old man's ricotta tasted just like the stuff I used to buy in Montreal, which has a large Italian community. 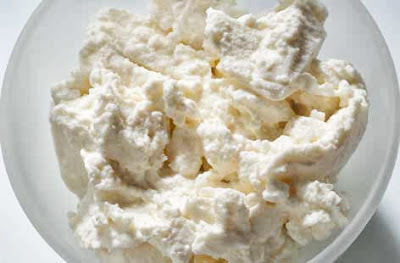 Many Mexicans make their own queso fresco -- the fresh white cheese they crumble over many dishes, and a few people make their own Oaxaca cheese too -- a stringy mozzarella-like cheese that melts beautifully. But not everyone makes ricotta with the whey. Maybe my ricotta man had Italian blood! Ricotta is a very pleasant, sweet, small-curd cheese, and the homemade kind is better than most brands you can find at the supermarket, though not as good as the bulk ricotta found at real Italian stores. 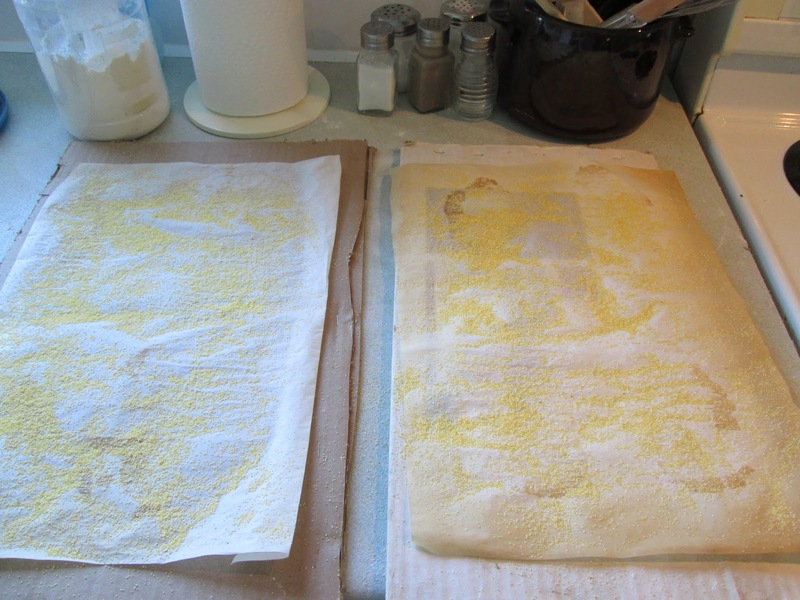 After heating the milk and watching the curds form, the latter are ladled into a double layer of butter cloth (or several layers of cheesecloth), and hung up to drain. This is the same contraption that I use for making jelly, no need for special equipment, just a stick and a way of suspending the ball of curds. Here is the finished cheese, with 3 cups of whey which I will freeze to use in my next batch of bread. The yield from one quart of milk was exactly half a pound (227 grams), which brings the cost to about $6 a lb, cheaper and a heck of a lot healthier than the supposedly healthy gourmet PC Blue Menu "Ricotta Whey Cheese" whose list of ingredients is quite a bit longer. If I can resist the temptation of eating it as dessert, I plan to put it in some lasagna or use it for stuffing ravioli, some time this week. 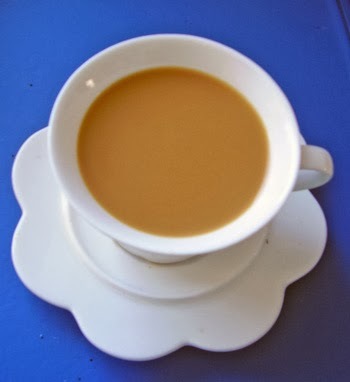 On the other hand, it's so quick and easy to make -- less than one hour from start to finish -- I should start stocking whole milk just so I can make the occasional batch, as an additional menu option. In addition to lasagna and ravioli, ricotta is the cheese of choice for all sorts of Italian specialties. I remember very fondly a ricotta pie that we used to serve in my first restaurant, way back when. It was topped with pine nuts. Here's a very similar recipe, from Lidia's Italy. Where I come from, each family has its own tourtière recipe, but my mother never passed her recipe on so I've had to experiment to find the one that corresponded to both my memories and my grown-up tastes. At one point, I tried the Galloping Gourmet's* recipe. He substituted mashed potatoes for the breadcrumbs. Sounded like a good idea but you had to pick really starchy potatoes or you'd get a watery pie. Finally, I adapted Jehane Benoit's recipe from her little-known The Canadiana Cookbook. It was published in 1970 and I opened my first restaurant in London, Ontario -- Auberge du Petit Prince -- in June 1972 and tourtière was an instant success there. 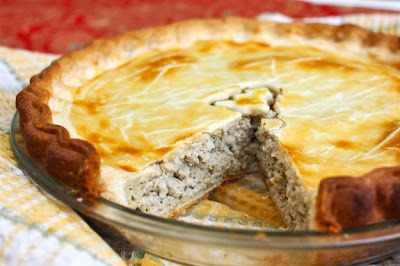 Fifteen years later, I opened a French restaurant in San Miguel de Allende, Mexico, and my tourtière was a hit there too. I attribute this to the fact that Mexicans love pork and that my recipe includes cinnamon, which is a favourite spice in Mexico, though as far as I know they don't use it in savoury dishes. On the other hand, maybe they just like good food! Place all ingredients except the breadcrumbs in a saucepan. Bring to a boil and cook, uncovered, for 20 minutes, over medium heat. Remove from heat and add a few spoonfuls of breadcrumbs. Let stand for 10 minutes. If the fat is sufficiently absorbed by the breadcrumbs, do not add more. If not, continue adding breadcrumbs. Cool and pour into a pastry-lined pan. 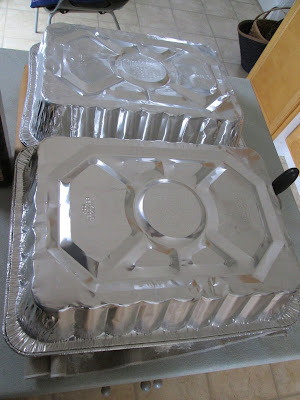 Cover with top crust that has vent holes to allow steam to escape. Bake at 400 F (200 C) until golden brown. Serve hot, with red or green tomato chow chow (recipe below). Cooked tourtières can be frozen 4-5 months, and reheated without thawing. For the crust, I remember being fascinated by the Galloping Gourmet's hot water pie crust, and I found the recipe in The Canadiana Cookbook too. How could this weird recipe work when we are constantly reminded to handle the dough as little as possible? The secret is the combination of baking powder, vinegar and egg, which creates the flakiest, tenderest pie crust imaginable. It uses pork lard as a fat, and that is essential. That became my crust of choice for all savoury pies. Measure 1-1/3 cups of the lard and cut into the flour until mealy. Dissolve the remaining lard completely in the hot water. Add the lemon juice or vinegar and the egg. Mix these liquids into the flour mixture until dough leaves the sides of the bowl. Divide into 4 to 6 balls, flatten them and wrap them in plastic film, then refrigerate at least one hour, and up to 12 hours. 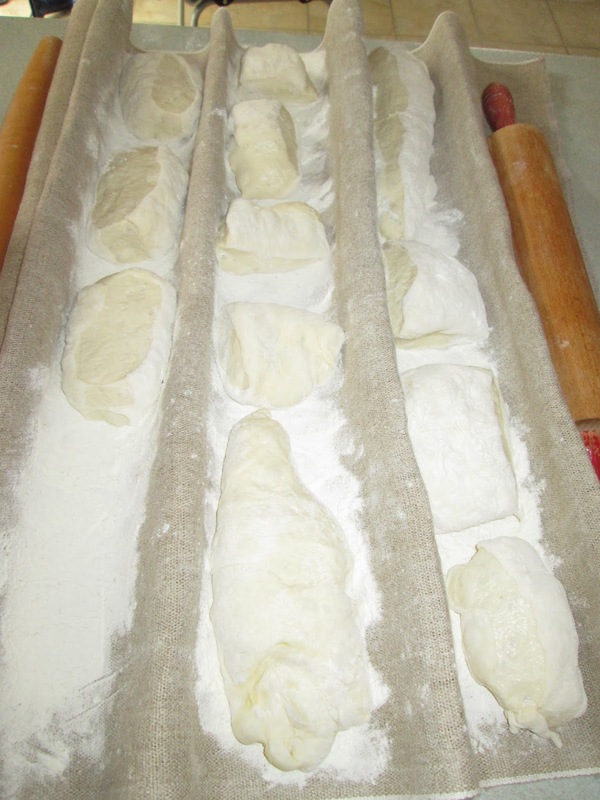 You will find this dough incredibly easy to roll. For a long time I used my mother's recipe for a quick fruit ketchup. It contained 1 can of peaches, 1 can of pears, and probably 1 can of tomatoes. To this you added onions, celery, vinegar, sugar and pickling spice. The advantage was you could make it all year, unlike our grandmothers who would preserve dozens of bottles of the stuff in season, to last all year. Peel tomatoes and peaches by blanching them in hot water and cooling them quickly in cold water, then chop them - not too fine. Peel apples and pears and cut into cubes. Put all the above into a large, non-reactive pot. Add vinegar, salt and spices (wrapped in cheesecloth). Bring to the boil and simmer one hour. Add the sugar and continue cooking until sugar is dissolved and right consistency has been reached. Remove the spices and pour into sterilized jars, following your preferred canning method. Add 1/2 cup salt and leave overnight. Next morning, drain and add other ingredients. Nearly cover with vinegar (about one quart). Boil gently 1 to 1-1/2 hours. * Graham Kerr used that name for his TV cooking show in the 60s.